Baseball needs more of these. This happened yesterday, but it was awesome so here it is. That’s so good. And like any good con, you can see where Florimon realizes he has the mark on the hook; when he goes in and keeps the tag on Turner for an extended period of time, he knows he has him. 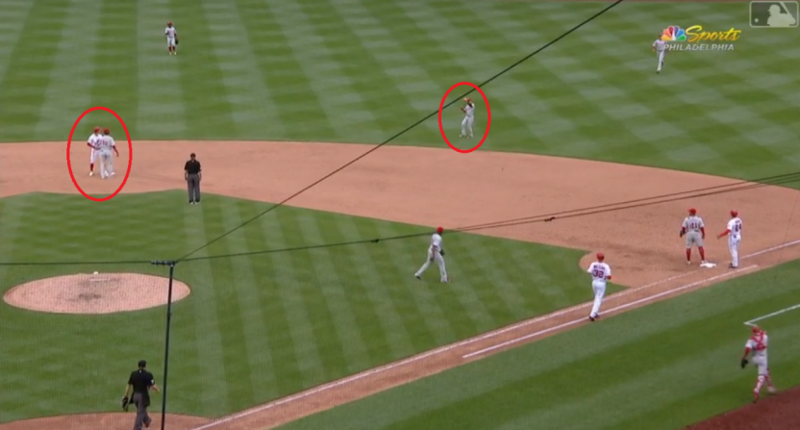 The disgust from the first base coach and Wieters is also great, as is the non-chalant throw. Best of all, it was in the ninth inning of a somewhat close game, which the Phillies held on to win.